The Brown County Historical Society exhibit, Loyalty and Dissent: Brown County and WWI, is likely the most in-depth exhibit on the subject in the state. Last month, it received a Minnesota History Award from the Minnesota Alliance of Local History Museums. I had a small part in the formation of the Alliance back in 1990-91. I had previously been president of the Bay State Historical League in Massachusetts, and, on arriving in Minnesota, found that there was no similar organization here. So we worked to begin some networking. In honor of the Minnesota History Award for the WWI exhibit, I’ve posted a tribute, The Silent Army, to those Brown County men who gave their lives. This is the story of one country school, located just west of New Ulm, Minnesota, for which I wrote the National Register of Historic Places nomination. It was closed in 1971 when Minnesota added a requirement that school districts must offer high school curriculum — the death knell for District No. 50 and others across the state. There are hundreds of these rural schools across the country, but I enjoyed working on this project for two reasons. First, it is a remarkably preserved example of a building influenced by Progressive era educational theory, taken from the cover of a state-issued plan book. Ideas were translated into the built environment. Second, I conducted oral history interviews with several former students. It is easy to fall into sweet nostalgia when talking about one-room schools, but the interviewees raised issues that are still with us — the benefits of a very small school with multiple grade levels and the reinforcement of learning that took place when older students helped to teach younger students. And it is not nostalgia when speaking of the bonds of community, knowing who your neighbors are and, more importantly, knowing their stories. 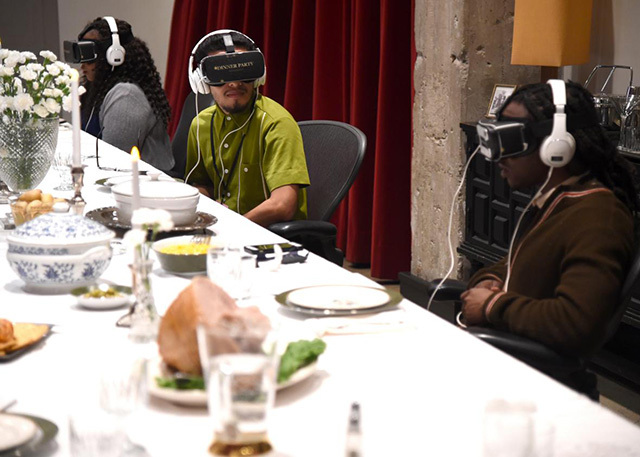 With virtual reality and augmented reality standing on the verge of popular adoption, this might be the Thanksgiving of the future. The technology, though, is advanced enough to make it inaccessible to small historical societies and museums. I saw two attempts this weekend. The Galena and U. S. Grant Museum promoted its holograms of Ulysses and Julia Grant — intended to serve as orientation. It was not a hologram, but a video projected on black curtains. The script also fell short, as the Grants explained what visitors would see in the museum, obviously not in character. Over in Dubuque, I visited the National Mississippi River Museum, a wonderful complex, where I watched a National Geographic film on the Lewis and Clark Expedition. Great story, although, as is often the case, the journey to the Pacific is highlighted and the return adventure barely mentioned. What interested me was that it was promoted as a 4D experience. Which it wasn’t. No 3D glasses. Instead, at key points, rumbles under the seats as a storm approaches, quick sprays of water in the rapids, and wind on the mountaintops. Interesting but a gimmick. So I’m not sure where the new technology will lead us in the field of history. 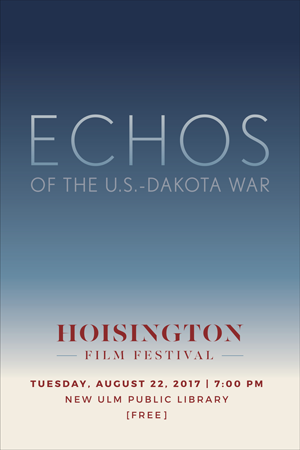 In 2012, I helped to organize, write, and design the award-winning exhibit, Never Shall I Forget: Brown County and the U.S.-Dakota War of 1862, for the Brown County Historical Society in New Ulm, Minnesota. We made creative use of iPads to bring differing perspectives to the story. We will be uploading supplementary information to our YouTube channel over the next several weeks, beginning with the thoughts of the late Elden Lawrence on the cultural perspectives of the Dakota and the newly-immigrated German settlers of Brown County. Elden was fine scholar, a sharp observer of history, and a generous spirit. With the release of his iPad app, Burns tries to repackage the donnée, using technology that did not exist when he began filmmaking. Essentially, the iPad app is a collection of clips from past films, but arranged so the body of his work — thirty plus years of film — can interact in new ways. You can view them chronologically, through a timeline, or via a series of playlists each centered in a particular theme, like race or art. This breaks the narrative thread and places you in the realm of the donnée. I’ve watched every minute of Ken Burns’s work — often multiple times — so I know the stories. What I can do, though, is follow the idea — race, for example — developed through each of his films. The app is enhanced by new video comments by Burns. In his films, you might watch the ideas develop over ten or more hours. I think of the issue of race, for example, as shown in the Baseball series. In the app, he hammers home the ideas in newly-filmed short clips — this is what I was saying. I can watch four hours of Mark Twain and, in the end, grow aware of how funny his writing remains. (Read Finley Peter Dunne to understand how unusual that is.) Here, Burns comes on and says that in a brief summary. This is a worthy experiment. It would be interesting, in the future, to be able to easily compare other documentarians with Burns — how a single historical event might be viewed through different lights and shadows. One of my favorite projects during the last year was the opportunity to interview Lorraine Oswald. Her words were thoughtful, retrospective, funny, and generous in their view of human foibles. What a pleasure to hear someone else’s story. The interview was completed for the Junior Pioneers of New Ulm and Vicinity and shown at their fall meeting. When I first heard of the Junior Pioneers, I expected to see something like Boy or Girl Scouts for history. Imagine my surprise when I learned that they were not so young. 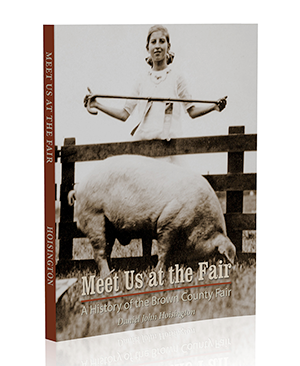 The JPs are a century-old organization of the descendants of the white settlers of Brown County. Through the years, they have been advocates for history, sponsoring public presentations, historical markers, and publications. Take a look at the interview with Lorraine and remember the Junior Pioneer’s contributions over the years.